← Three Recent Books on Disability, Aesthetics, Art and Film. 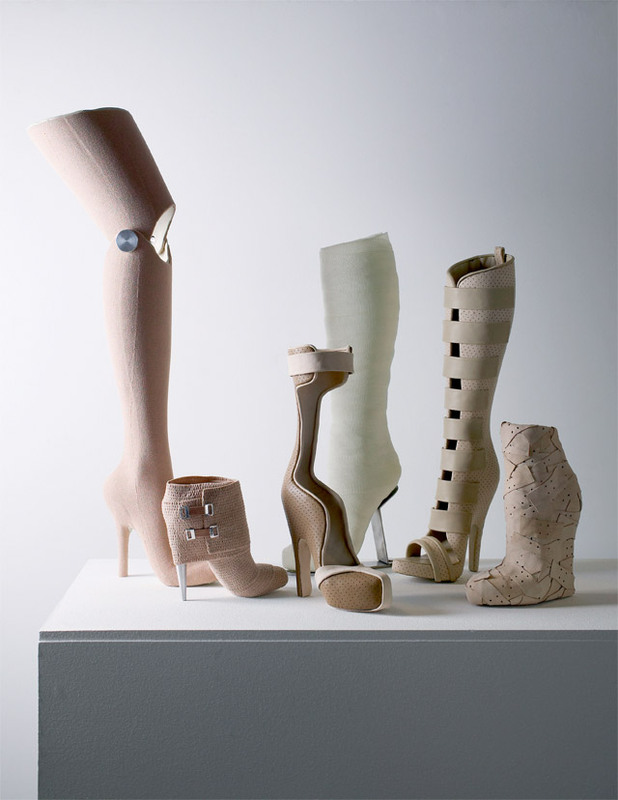 In her project Medic Esthetic, Gwendolyn Huskens of Design Academy Eindhoven deals with the beauty of imperfection, using medical materials like synthetic plaster, bandages and stainless steel in white and skin tones, to make these shoes. A quote from this project: “The esthetics is superior to the wearability”. This entry was posted in design project, disability aesthetics, fashion. Bookmark the permalink.